Welcome Home! Beautiful and impeccably maintained Yardley Model End Unit boasts 3 spacious bedrooms, 2.2 baths, plenty of natural light and hardwood floors throughout main level. The open floor plan features a stunning 2-Story Great Room with large arch-topped windows, gas fireplace, dining area, powder room, laundry room with stunning views from the rear deck. The gourmet kitchen is equipped with stainless steel appliances, gas cooking, and under-cabinet lighting. The Spacious 1st floor Master Suite includes a triple window with a window seat, and two walk-in closets. The Master Bath features a soaking tub and stall shower. Second floor features a balcony that overlooks the Great Room, 2 bright Bedrooms with walk-in closets and a full bath. The finished basement features new carpet, powder room, bar area, access to rear patio and oversized 2 car garage. HOA includes common area maintenance, lawn maintenance, snow removal, community pool, playground and tennis courts. 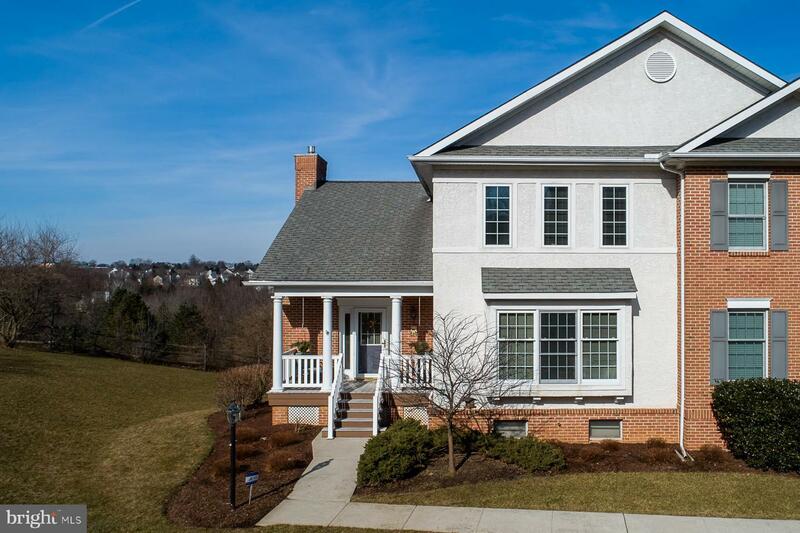 Located in the award-winning Downingtown Area School District and within walking distance to Eagleview Town Center which includes Restaurant Row, Shops, and Summer Concerts. Easy access to Route 100, Route 30, and the PA Turnpike. Schedule your tour today, this beautiful home won't last long! Listing Agent related to Seller. Seller is licensed Agent.